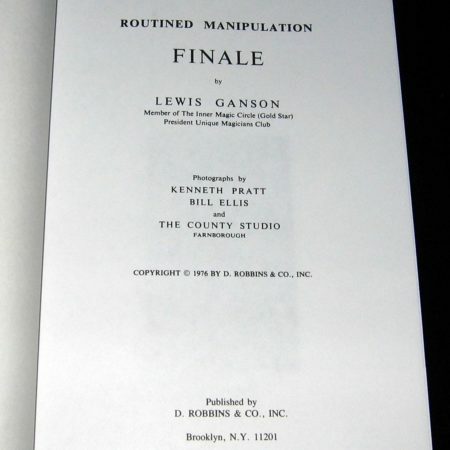 More from Lewis Ganson here. 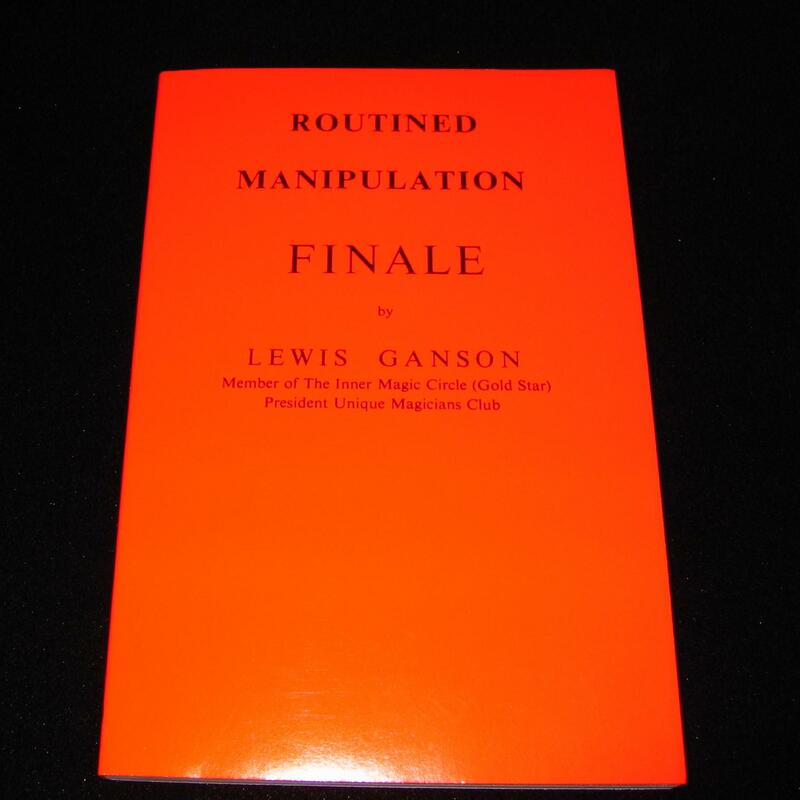 The final book of the Routined Manipulation series. More great hand magic for both close up and stage by some of the greatest magicians of all times. 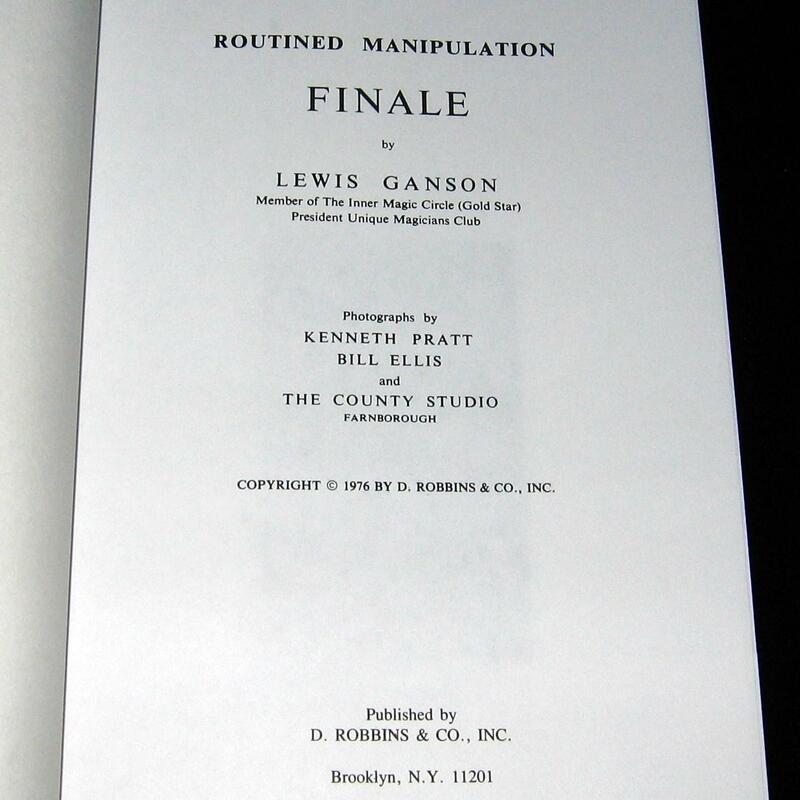 Anti Gravity Glasses-A feature of Ganson’s act for years. Three glasses suspend from a clear sheet of plexiglass. Everything is examinable. This was a marketed item by Unique Studios for many years and now you can easily make this up at home and use it. 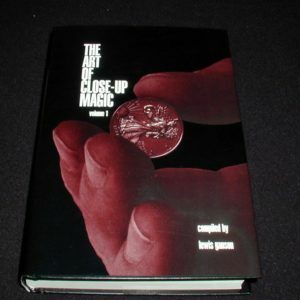 Fred Kaps Coins and Glass Routine-This is the exact routine used by Fred Kaps throughout his career. One of the finest routines with coins ever!! Peter Warlock’s Take a Bow-A coin transposition of two marked coins while one is wrapped in a handkerchief. 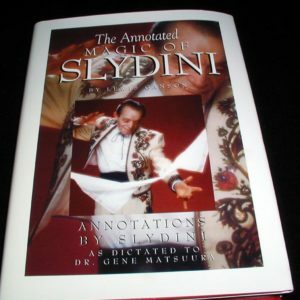 Ken Brooke’s Linking Ring Count-This is Ken Brooke’s convincing version of the Odin Ring Count for beginning a linking ring routine. How Many Dice-Gerald Kosky’s in the hands dice routine with four small dice. Great walk around magic. Ali Bongo’s Deolali Dice-This is a ncie version by Ali Bongo wherein 2 dice pushed into the hand grow to 2 jumbo dice. A good closer for any of the small dice routines in this series. Charlie Edwards Dissolving Knots-This is a version of the now popular knotted silks routine wherein the knots constantly dissolve but this routine ends with a nice rope wrist tie penetration. Nice routine!! Sponge Ball Magic-28 pages of sleights, moves, and full routines with sponge balls including a complete routine for the multiplying rabbits. The Magic of Al Koran-A full chapter on five effects by Al Koran: Simplex Torn & Restored Newspaper (complete with the torn corner effect), A Pound for Your Card (tranposition of a signed playing card and a borrowed bill), Fate of Fiver (a bill is torn and then restored. You offer to repeat the effect but this time the bill vanishes in a flash of fire leaving coin change in its place), Hanky Panky Routine (A six phase routine with a handkerchief including penetration, burnt & restored, cut & restored, continuous production of coins, production of cigs and lighter, and finally a full glass of wine-a Great Routine!! 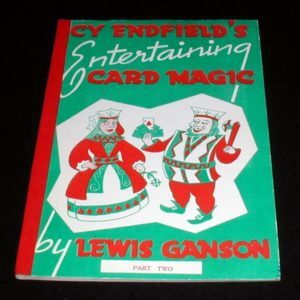 ), and Perfection You Do As I Do card deck routine. 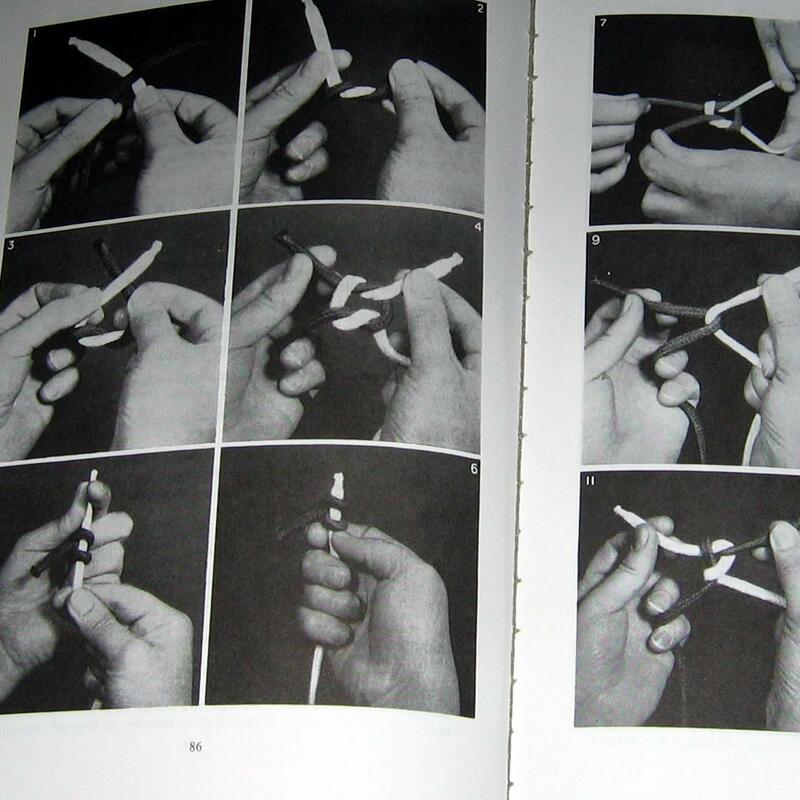 Miscellaneous Routines-Six routines consisting of Peter Burto’s Burnt & Restored Paper Strip, John Lewis Double Color Changing Thimble, and four effects by Hans Trixer (Miniature Cups and Balls, Canary to Silk, Slot Machine, and Billiard Ball thru Silk). Good stuff in this chapter! 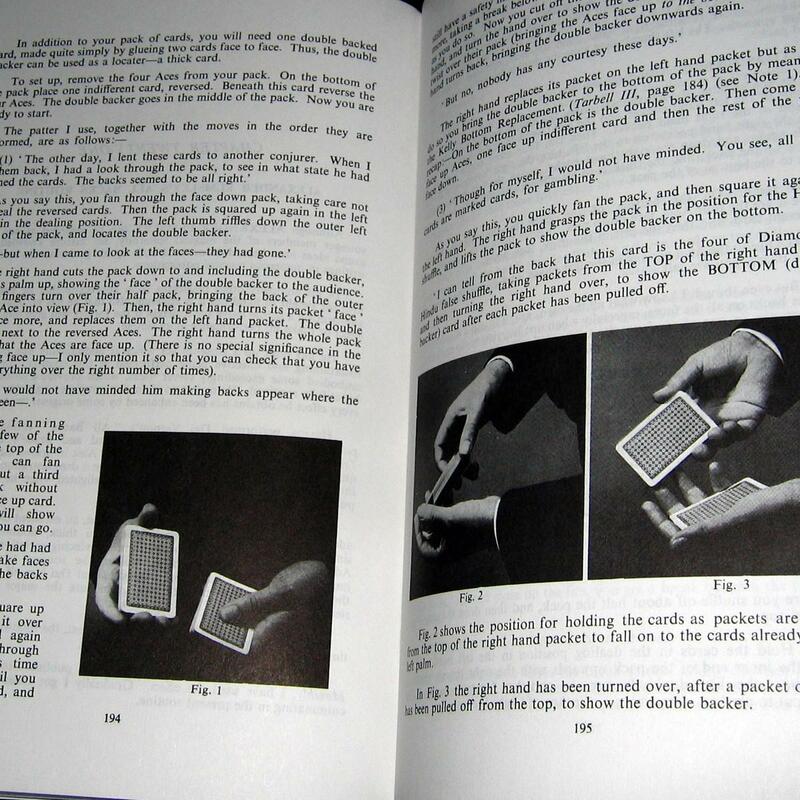 Card Magic-32 pages of card magic including the Elmsley All Backs Routine, Pat Page Cards to Pocket, Jack Chanin’s Card on the Line, Nickolas Thought Card, Peter Warlock Slip Cut, Bobby Bernard’s Educated Frog, Mary Kinson’s Fan-See Card, and Brainwave by Telephone. Card Magic by Manipulation-30 pages of card manipulation work including Covering the Pivot Move, Stealing Extra Cards, Hiding the Corners, Preparing the Cards, Continous Production of Fans, Production of Single Cards, Manipulation in Gloves, and a Complete Card Routine to open your act. Again, these routines and effects are well described and illustrated with most illustrations being black and white photos.